BEECH GROVE—Life’s journey has certainly been different than most for Benedictine Sister Jennifer Mechtild Horner. She was born in Zambia and raised in South Africa, where she was the daughter of a Presbyterian minister of the first integrated church there. She survived a near-fatal car accident and later was received into the full communion of the Church as a young adult. All these experiences have more than prepared Sister Jennifer for her role as prioress of the Benedictine Our Lady of Grace Monastery in Beech Grove, which she will officially assume at an installation Mass at the monastery on June 7. “I guess there are several words to describe how I feel,” she said. “One would be deeply honored and blessed by this community, that they would entrust me with serving them, because it really is an honor. The entire Beech Grove Benedictine community will welcome Sister Jennifer as their prioress when she is installed. Sister Jennifer’s mother, sister and brother and many Catholics across central and southern Indiana will also be there to support her during her installation, which will be presided over by Benedictine Sister Joella Kidwell, president of the Benedictine Federation of St. Gertrude. 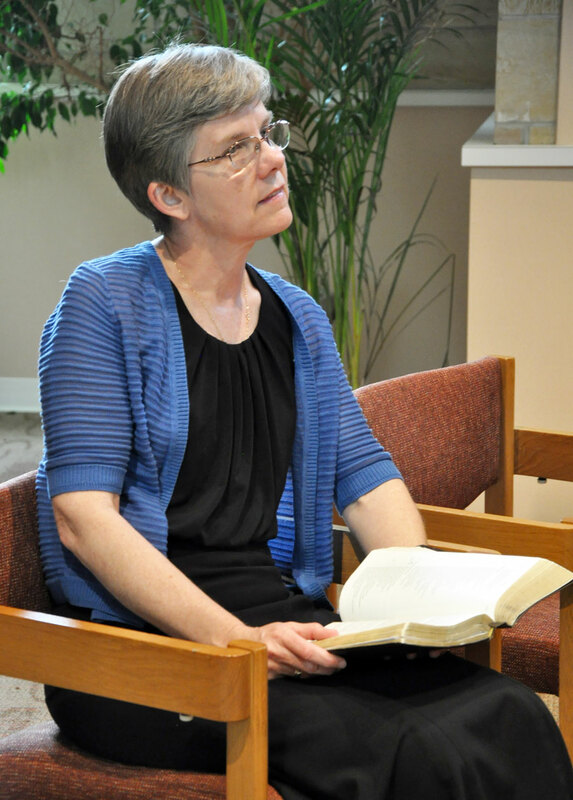 Benedictine Sister Juliann Babcock, the community’s most recent prioress, described Sister Jennifer as an especially loving member of their community. Sister Jennifer most recently served as director of vocations for Our Lady of Grace Monastery. That role fit her strength as a keen listener, someone who loves to hear the stories of others. As someone who came to the Catholic Church as a young adult, Sister Jennifer knows how to deeply listen to God and to the longings of her heart. Her family moved to America after her father received deportation papers from the South African government because he refused to keep quiet about the apartheid laws that discriminated against the African people. Sister Jennifer became acquainted with the Catholic Church while attending Boise State University in Boise, Idaho, pursuing a teaching degree. After a near-fatal car accident on the way back to school from spring break, she knew that she had to respond to God’s call to become Catholic. Several years later, she responded to another of God’s calls—this time to the religious life. After getting to know a community of Benedictines in Idaho, Sister Jennifer knew she had to see what religious life was all about. She made her final vows in 1995. Three years later, she became the director of spirituality for the Benedict Inn Retreat and Conference Center in Beech Grove. During that experience, she lived at Our Lady of Grace Monastery and fell in love with the community of religious sisters there. She asked to transfer her vows to the monastery and became a full member in 2004. Since then, her dedication to the community has been evident in all of her ministries. Benedictine Sister Maureen Therese Cooney describes how Sister Jennifer, while director of vocations, trained for the OneAmerica 500 Festival Mini-Marathon in Indianapolis in order to spread the word about religious vocations through community involvement. Community life is integral to the Beech Grove Benedictines, and Sister Jennifer described the installation ceremony as a very powerful moment of community. After she has taken her oath of installation, every sister in the monastery will come forward where Sister Jennifer is standing and offer individual signs of peace to her. This dedication to her community, along with a deep love for the monastic life, are skills that she will bring to her community throughout the next six years. Although she may feel overwhelmed by the responsibility, Sister Jennifer expressed true joy when speaking of her new position at the monastery.